What is less well known to the travelling public, but is common knowledge among pros, is that Chaa Creek is a bird watchers, er…Birders…paradise. But first, let’s back up a little. When I say “common knowledge among pros,” I’m referring to those enthusiastic individuals and groups who are passionate; some may say zealous, about following and recording the habits of birds. From North Americans, Brits and Europeans with monster telescopes and camera lenses, binoculars and notebooks in hand, to those who make a living at birding, they – if you pardon the expression – flock to Chaa Creek. And with good reason. 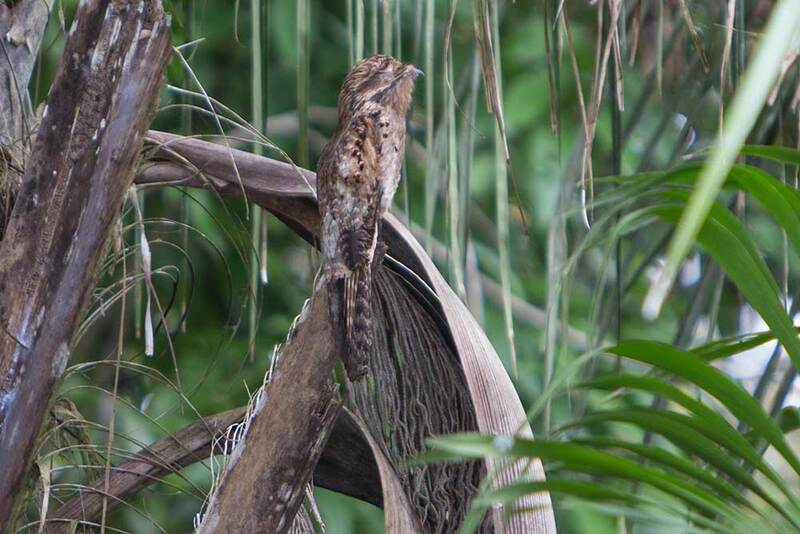 With over 603 species of birds identified in Belize – 77 of them marked as rare – birders can find themselves almost overwhelmed. 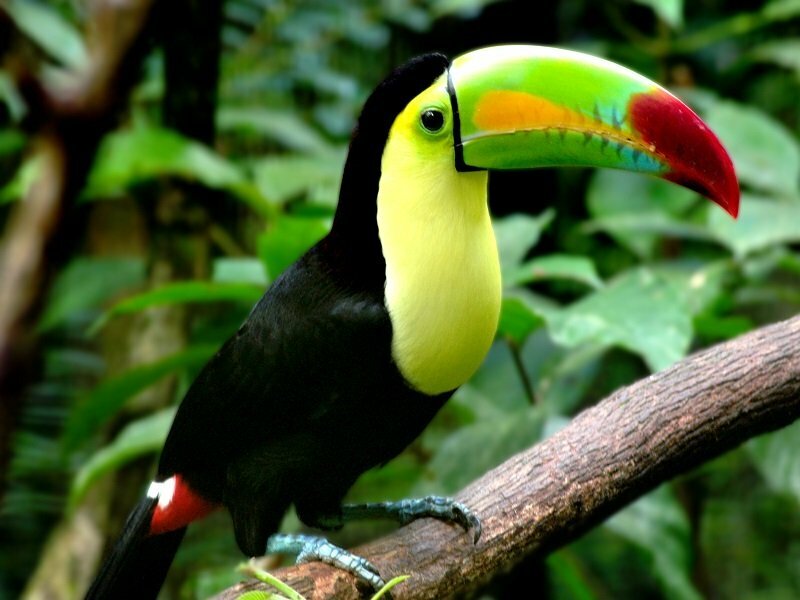 And Belize’s diverse geography; from the Belize Great Barrier Reef, cayes, seacoast, marshes, savannahs, mountains and vast rainforests, attracts a mindboggling variety of birds. 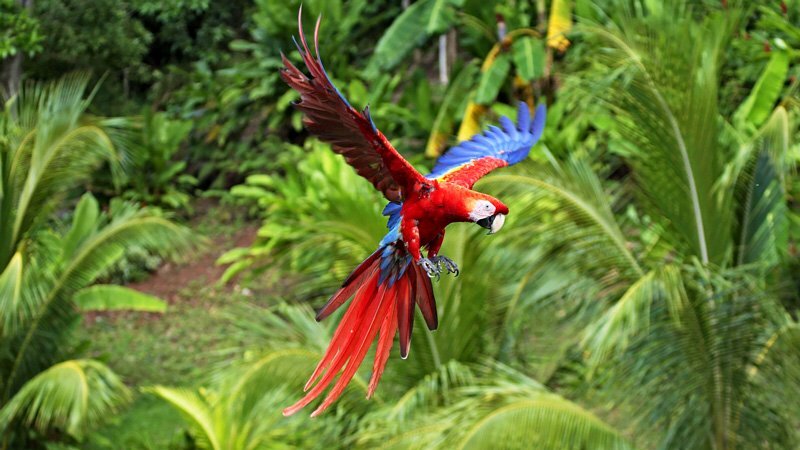 Which is why Belize generally, and Chaa Creek specifically, were recognised as an avian goldmine by Birds Without Borders – Aves Sin Fronteras. 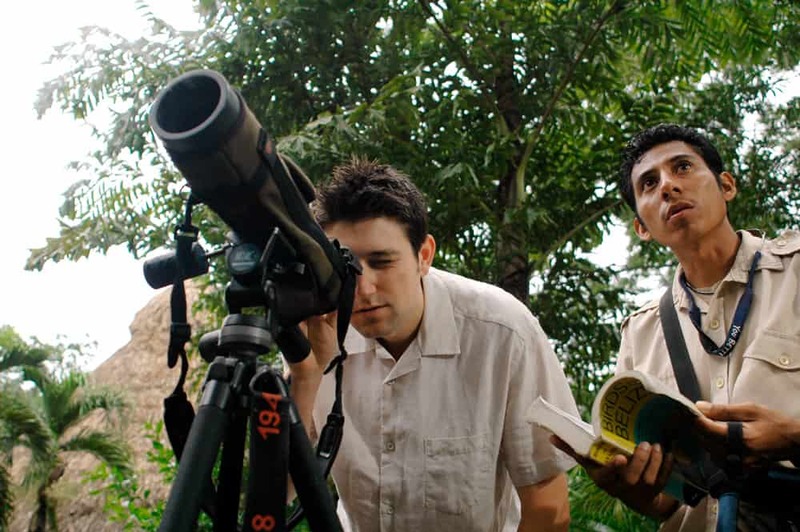 Sponsored by the Foundation for Wildlife Conservation and the Zoological Society of Milwaukee, with hosts in Wisconsin and at Chaa Creek in Belize, the project, among other things, tracked some 114 species of migratory birds who travel some 1,700 miles to divide their time between Belize and Wisconsin. As Birds Without Borders progressed, Chaa Creek founding owners Mick and Lucy Fleming felt their own interest in the avian life around them growing, as did some of their naturalist guides. 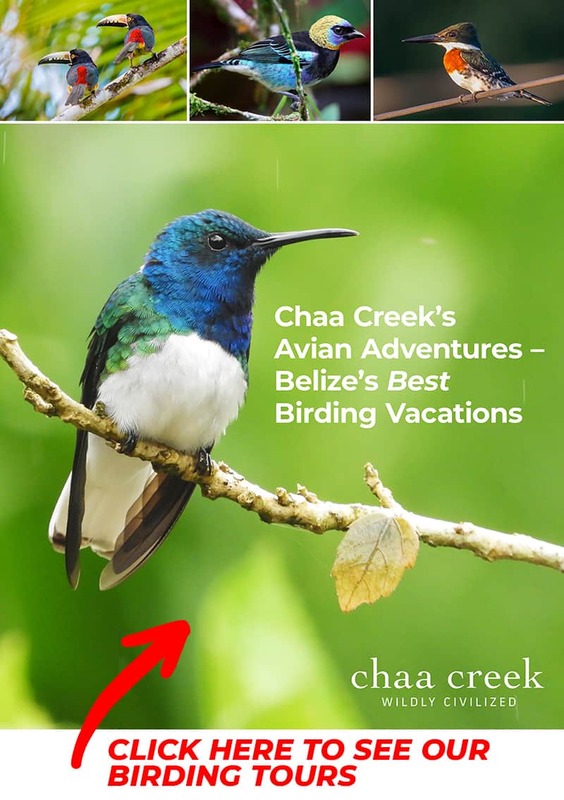 With the Fleming’s encouragement, the guides worked closely with the project, embarked on further study, and before too long, Chaa Creek had some of Belize’s best, most experienced and definitely most passionate birding guides in the country. 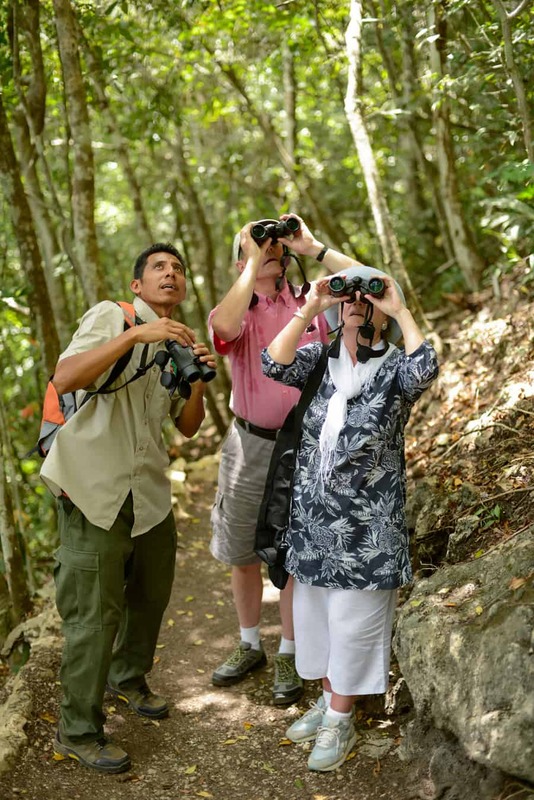 So many people have discovered the joys of birding at Chaa Creek that this year the Fleming family, the birding guides, and Brion Young at the onsite Belize Natural History Centre decided to take birding in Belize and Chaa Creek a step further by developing some very cool tours, activities and even an all-inclusive Belize Birding Vacation Package. We’ll be going into greater detail in the coming weeks, but rest assured that whether you add a simple early morning bird identification walk or more ambitious birding tour to your Chaa Creek vacation, or become totally immersed with an all inclusive Belize Birding Vacation, where everything– from accommodation, all meals, transfers, equipment, checklists, activities; the works, are included for one surprisingly affordable price, you’ll enjoy a birding experience perfectly suited to your levels of interest and fitness. 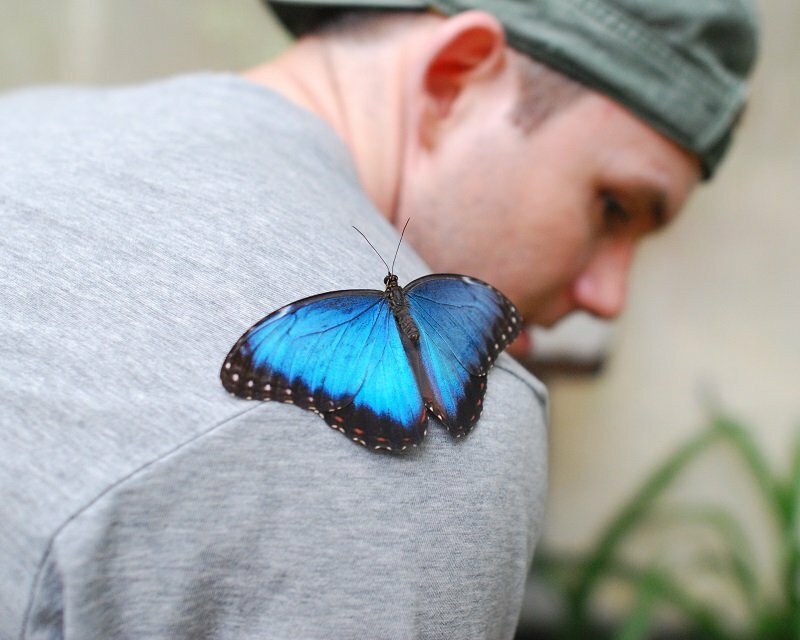 Accompanied by experienced guides along the miles of trails crisscrossing Chaa Creek’s 400-acre private nature reserve, on foot or horseback, and on canoeing excursions down the Macal River, this is a rare opportunity to get up close and personal with our avian amigos in the comfortable casual luxury Chaa Creek is famous for. Or, you can spread your wings and go full luxury with lodgings in the newly refreshed Tree Top Villas, or the personal butler serviced Ix Chel Villas. There’s even the very budget-friendly option of staying at the rustic Macal River Camp, where the lack of electricity draws birds even closer. With private verandas on your own bungalow-style casita, you can view birds in the surrounding jungle from your cosy hammock. With comfortable beds, fresh linens and Francelia’s famous breakfasts and dinners included, guests are welcome to all use the infinity pool, free Wi-Fi, dine at the Mariposa restaurant and lounge, visit the Natural History Centre and Butterfly Farm, and have complete access to all Chaa Creek amenities just a pleasant 15 minute stroll away. 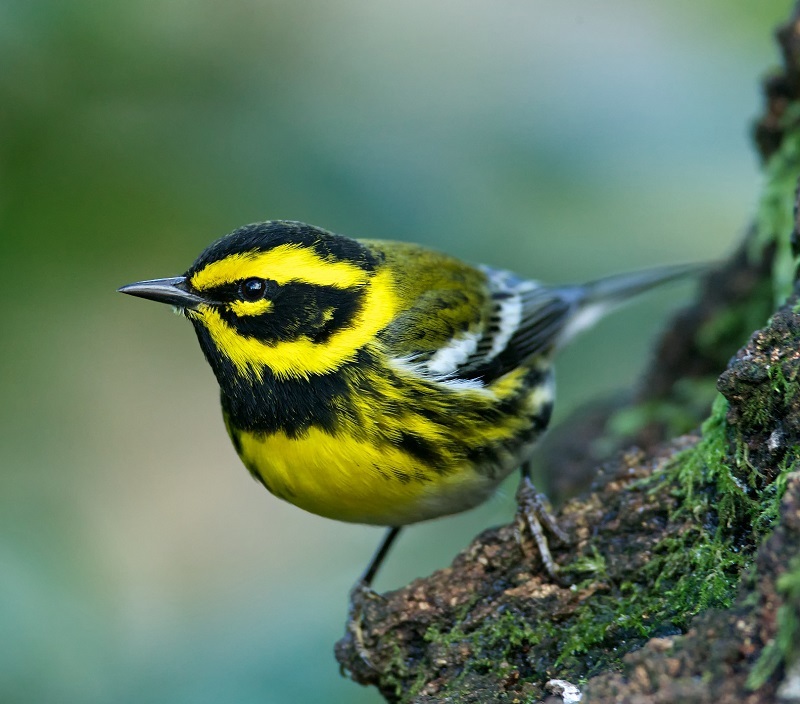 Chaa Creek’s new range of Birding Vacations and add-ons have been designed to excite and delight novices wishing to learn, or those with a more casual interest, and up to even the most experienced birders. Birding, whether as passion or pastime, is a great way for families and couples and friends to share the excitement of discovery in one of nature’s most stunning settings, as well as a great way for individuals to meet likeminded souls. We’ve sure become hooked, and invite you to see why. So stay tuned for some of the pretty exciting details to follow, and get ready to catch our avian fever. John James Audubon would be parrot-green with envy.